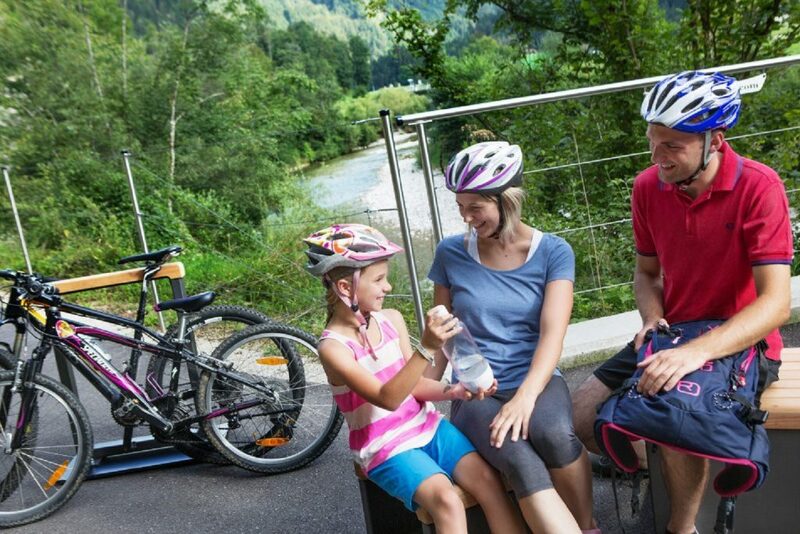 This 55 km section of a newly built cycle trail follows the river along the tracks of the old Ybbstalbahn railway from Waidhofen an der Ybbs to Lunz am See, where the Ybbs Valley Cycle Trail converges with the Ötscherland Cycle Trail. This new section is the centrepiece of the 107 km Ybbs Valley Cycle Trail and offers both rest areas and magnificent natural spectacles. Its completion was celebrated at an official opening in Opponitz on 17 June 2017. Alois Graf from Ziviltechnikerbüro Steinbacher, a civil engineering firm based in Hollenstein an der Ybbs, is responsible for the design of the inviting rest areas. Each one has a different way of revealing the harmonious combination of wild natural beauty and technical finesse. “The rest areas play an essential role in creating the overall impression of the trail” explains Graf. “The question was: What aspects of the landscape do I want to show? Where’s the best place to sit?” Graf deliberately integrated old elements of the railway, such as tunnels and bridges into the new design. Old covered train stops now provide shelter for cyclists in bad weather. “It was important for me that the history of the Ybbstalbahn railway and its structures remains recognisable”, explains Graz. 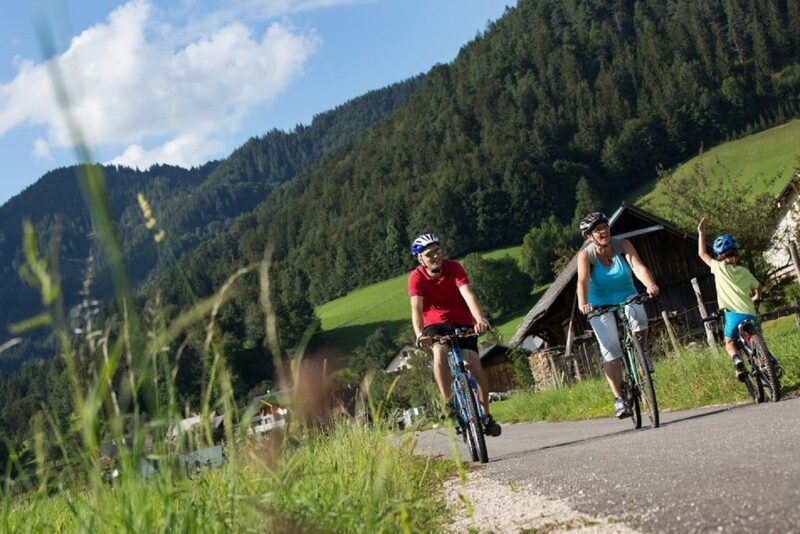 The most attractive part of the cycle trail is from Waidhofen an der Ybbs to Lunz am See. The River Ybbs rages and then calms again. Now and again a beautiful view opens up until the next corner draws your attention back to your immediate surroundings. It’s all beautiful – near, far, wherever you are. And the trail goes on – into a canyon-like valley section. The section between Ybbsitz and Opponitz is known as the “Ofenloch” (Oven Hole) and is an amazing natural monument. In days of old it was an almost insurmountable obstacle and shielded all the villages there from the rest of the world. It was only in 1896 with the commissioning of the Ybbstalbahn railway that it became possible to cross the gorge. Anyone who enjoys the comfort of the new asphalt beneath their tyres on this trail not only experiences the moment; they are constantly reminded of this history. 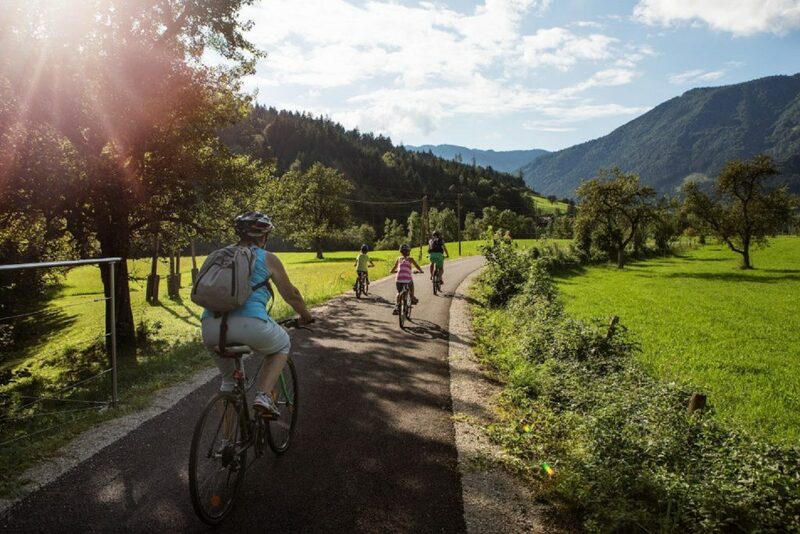 The new cycle trail also runs past the nostalgic Ybbsstrandbad, a beach by the river in Hollenstein and Ybbstaler Solebad, a salt-water pool in Göstling. These are just two of the many tempting excursion destinations. 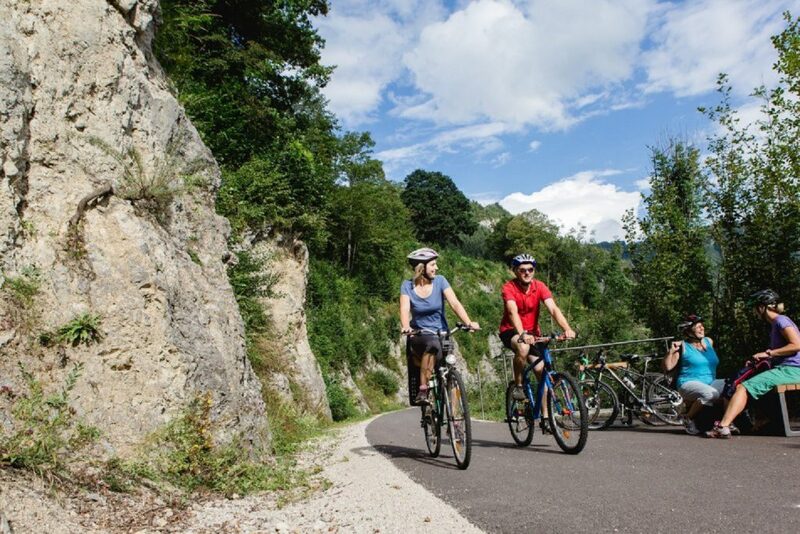 The diverse landscape and flat terrain makes the trail ideal for short recreational holidays and family outings.